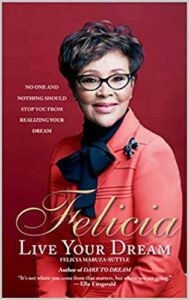 Born and raised in Sophiatown, Johannesburg, Felicia’s dream was to unchain herself from the shackles of apartheid that held back most black people in South Africa. She opted to leave South Africa – venturing to the U.S in search of an education and success. And so it came to be that Felicia settled abroad, earning herself a Bachelor’s degree in Journalism, followed by an MA in Mass Communication. Felicia built a life for herself in the land of hope and glory, until with one single plea, the great Nelson Mandela brought her home. It was 1991, and Mandela made a clarion call, challenging all South Africans living abroad to return home to help build a new democracy. Despite her successful career in the States, Felicia answered his call and left America. Felicia didn’t, however, integrate quietly back into South African Society. She exploded onto the scene, using television as her platform for change. The Felicia Show was not only the first audience talk show in the country, but it was also the first South African talk show hosted by a black woman. Aptly referred to as “The Show that gets South Africans talking”, The Felicia Show focused on lifestyle topics and various philanthropic efforts. At a time when South Africa was transitioning from an apartheid government into democracy, the people had found a voice in Felicia. Her show enabled black and white South Africans to come together and debate issues they could not discuss during the apartheid era. 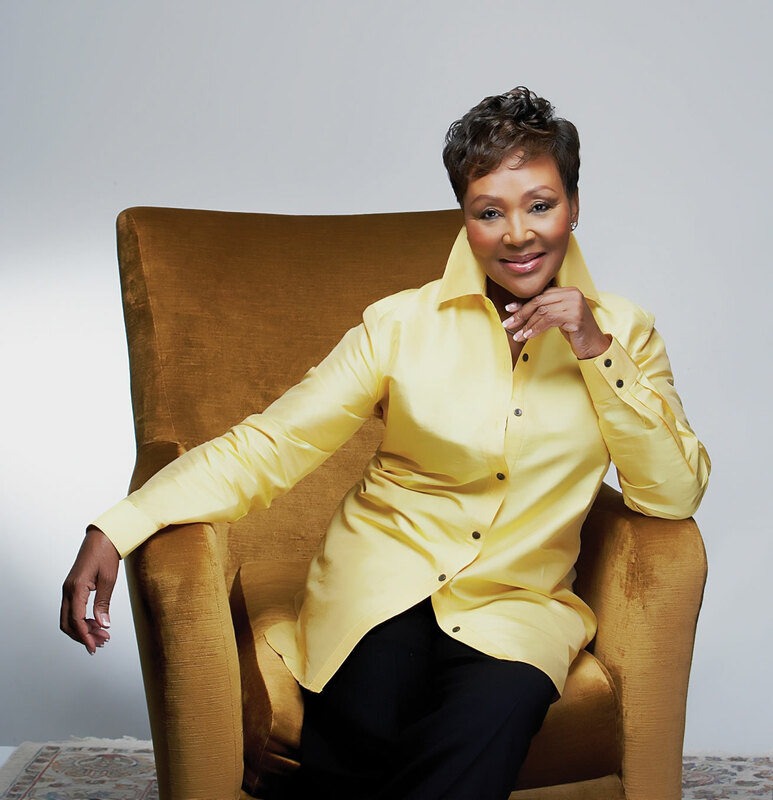 Over the course of her years in television, Felicia has interviewed such luminaries as Nelson Mandela, Archbishop Desmond Tutu, Winnie Madikizela-Mandela and Britain’s former first lady, Cherie Blair. Celebrity personality interviewees include Larry King, Danny Glover and Diana Ross. Your first novel, Dare to Dream, a best-seller and publisher’s choice, was a memoir of your earlier life. Live Your Dream is a continuation of that memoir, but what inspired you to write this story? Many young people ask me to mentor them. Being so far away, I decided to write a book aimed at inspiring the young and mature with strategies to help people to realize their dreams. I thought mapping out my journey, sharing stories of courage, determination and persistence would be beneficial. How I got close to people I admired, and learned about their stories, would be helpful. I wanted to share the many quotes that have served as my roadmap to success and now, to significance. Success is about self-empowerment and significance is about empowering others. What message do you hope readers will take from this book? No one and nothing should stop you from realizing your dream. You were born to make an impact. It’s not where you come from that matters, but where you are going. Don’t let your past hold you back. Let it propel you to greater heights. As a product of apartheid, I refused to allow apartheid to determine my future. You are never too old to give birth to your dreams. Never give up on your dream. We were also born for a purpose. Make it happen. How have you changed or grown since the first book, Dare to Dream, and has this impacted your writing? Dare to Dream was literally a book about my life, my wishes and dreams. Many called them “dreams of grandeur” but I knew that if given the opportunity, I could make those dreams come true. My dreams were realistic and doable. All it needed to make my dreams comes true, was education and exposure. I ventured to get that and all was possible. As Mandela says, “Education is the most powerful weapon which you can use to change the world.” Dare to Dream was a story of possibilities, determination and persistence. You married Earl Suttle in 1976, but after your return to South Africa you spent many years apart, with you living here in Johannesburg, and Earl in Atlanta, Georgia. What was that like and how did you manage to focus on your family with all that was going on in your life at the time? It was difficult. There were many lonely nights and tears when the television bright lights went off. But I was focused on what I determined was a ‘calling’ and a mission. I was answering Mandela’s call to South Africans living abroad to come back home to serve their country. My family understood I was passionate about making a difference in my country. I knew with the talk show, bringing black and white, young and mature together in communication, we could create understanding for a better South Africa. I was a transatlantic mother and wife. Sometimes I would do homework at times long distance with my children, sharing their victories in tennis tournaments and beauty pageants over the phone. Wish there was Skype then and social media. I would teach my husband to cook for the girls long distance. It was tough but we survived the twelve and a half years! How has being a mom molded or influenced the decisions you have made in your life? Motherhood is extremely rewarding but still comes with a lot of guilt. As the eldest sister, I find myself being mother to my sisters as well. When I visit South Africa, I usually travel with three suitcases, two full of clothes for my sisters, brother, their children. I love children, so my friends’ kids always have something from me. They call me “Mother Felicia”, after Mother Teresa, because I genuinely deeply care. I feel blessed and grateful. You are now living back in the States, in Orlando. What prompted your decision to return to America? Husband (laughs). On a serious note, family. I live in Miami and Atlanta. I love the sea, thus Miami and I have my office and home in Atlanta. I also have a home in Cape Town. I returned to America because my family was there. But now, both my daughters are gone – Lindiwe lives in Cape Town and Berlin, and Zani lives in Copenhagen and Miami. It’s lonely to be in an empty nest. I hardly go upstairs to the girls’ rooms. They are exactly how they left them when they left for college. Do you miss home, and would you ever consider settling back in South Africa permanently? Yes, I miss South Africa. As I always say, my body is in America, but my heart is in South Africa. South Africa gives me a sense of purpose. America makes me chase profits (money). I prefer purpose over profit now. I do plan to do more in South Africa in 2016. My passion is to inspire young people to realize their potential. I do have a home in Cape Town and am one of the founding members of Pamodzi Group. Your business acumen and achievements are inspiring. You have founded several business ventures. I know that you studied journalism and mass communications, both of which have served you well, but to what do you owe your entrepreneurial success? I grew up in a family of entrepreneurs. I wanted to create jobs and opportunities for others. My production company, FMS Productions, commissioned the show to SABC and later eTV. I wanted to one day own a restaurant like my grandfather, who was the first black man to own a restaurant in downtown Johannesburg. That inspired me to start the first dine and dance upmarket restaurant, Back O’ the Moon at Gold Reef, City Casino. I am an image fanatic. I started my own eyewear line, that is sold in South Africa and other countries on the African continent. Thanks to Ndaba Ntsele, Chairman and CEO of Pamodzi Group for getting me involved in a company that has empowered a number of people. Pamodzi was one of the pioneers in black economic empowerment – started in 1996.
Who have been your greatest mentors in life – the people who have inspired you to keep going, and to push through the trials and tribulations which stood in your way? Philanthropist George Soros has also played a key role in my life. He paid for my entire undergraduate and graduate studies. I will always be indebted to him.Thanks to my partners at Pamodzi, Ndaba Ntsele, who brought me into the company. Businessman Solly Krok helped me make my business dream to own a restaurant a reality. Irwin Schaffer helped me start Felicia eyewear. There were also women I looked up to as role models: My grandmother who was one of the women who started the Zezele YWCA in Johannesburg. My mother, Olga Williams, who demonstrated love to us all. Marina Maponya, one of the leading businesswomen, Wendy Luhabe, a friend and supportive businesswoman, Barbara Walters, who shaped the careers of many women in the media.